With the right apps, a smartphone can do almost anything, but it’s also useful to occasionally ditch your phone in favor of a trusty notebook. Here are seven reasons to carry a physical paper notebook around with you. 1. DISCONNECTING IS GOOD FOR YOUR BRAIN. Switching from relying on your phone in every aspect of your life to using a physical notebook can be beneficial for more than just your handwriting. You can’t check social networks on your notebook, for one. Committing to using a notebook for certain aspects of your life—say, your to-do list—can help wean you from your smartphone addiction. Overusing your phone can lead to sleep issues, anxiety, decreased productivity, and other issues, and experts recommend putting away your phone periodically during the day to break the cycle of checking and rechecking your notifications every few minutes. Outsourcing a few of your digital tasks to a physical notebook can make it easier to stay away from the screen. 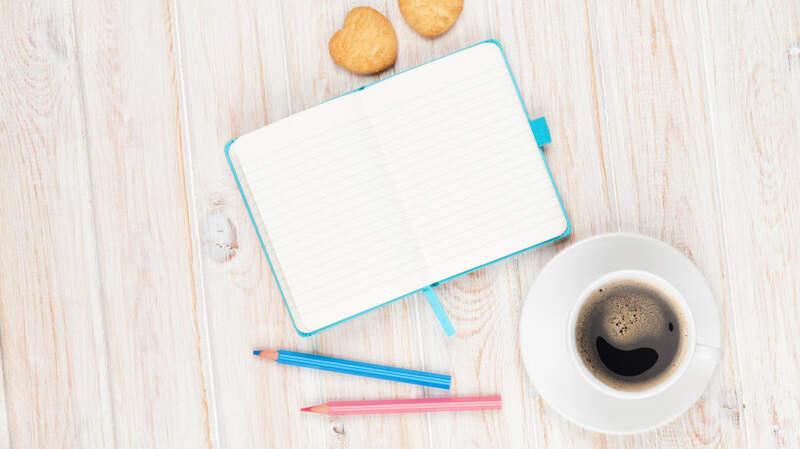 If you don’t know what you would fill a paper notebook with, try starting with something easy like a planner, where you can keep track of your goals, to-do list, and appointments in an organized fashion. 2. YOU CAN USE IT FOR EVERYTHING. Notebooks trump apps when it comes to versatility. They aren’t just for journaling, though they’re great for that, too. A notebook can be a repository for all the odds and ends you want to remember, from your monthly budget to your grocery list to your list of all the great restaurants you’ve visited or coffees you’ve enjoyed drinking. Nor do you need to use it solely for writing. It’s also a great place for your sketches, doodles, and diagrams. Writing by hand has numerous advantages compared to typing, and keeping a notebook on hand is a great way to keep your script skills sharp. Studies find that writing by hand helps you process information better, remember more, and think faster compared to typing. Plus, it improves your spelling. Since you likely don’t spend a lot of time writing out information longhand at work, your handwriting skills have probably atrophied since you left school. Occasionally jotting down thoughts in a notebook is a handy way to reinvigorate the parts of your brain (and hand) that don’t get a workout when you type on a computer or a smartphone. 4. YOUR MEMORY IS UNRELIABLE. A notebook is the perfect place to jot down a quick thought before you forget it. While you may think in the moment that the memory will stick with you, chances are, that little tidbit of information or spark of an idea won’t stick. Not only is memory fleeting, but it’s incredibly fallible. Eyewitness testimony in court cases has been found to be highly unreliable, and researchers have found that even people with so-called Highly Superior Autobiographical Memories—super-memory skills that allow them to remember just about every detail from their lives—are susceptible to false memories. Even when we believe we remember events vividly, our recollections can be wrong. Is it any surprise, then, that we struggle to remember phone numbers and grocery lists? Carrying pen and paper makes it easy to write down information on the fly, providing a more accurate snapshot of the day when you go back to your notebook. Writing down events and thoughts during the day is a good way to bolster your memory, but a notebook can be used for less lofty purposes, too, like writing down where you got that amazing slice of pizza. 5. WRITING CAN BE GOOD FOR YOUR MENTAL HEALTH. Journaling is an established technique doctors recommend to combat mental health issues like anxiety and depression. Keeping some sort of diary helps people express inner thoughts and fears, identify negative thought patterns, and track symptoms. Even if you don’t have anxiety, keeping a journal can help you clarify your feelings and get to know yourself. You may think you don’t have time to dedicate to writing every day, but if you carry around a notebook, your diary will always be on hand to write in while you’re killing time during your daily life. Carrying a notebook has been an essential part of the creative process for centuries. Ludwig van Beethoven didn’t go anywhere without one, just in case inspiration struck while he was out. Benjamin Franklin carried a pocket notebook to chart his moral progress on his “13 virtues” character development plan. Mark Twain took notebooks with him wherever he traveled to write down observations and book ideas. The same goes for today. Modern authors and artists know that their best ideas probably won’t come to them when they’re sitting down at their desks, ready to work. They carry notebooks to make sure that they are always ready when a brilliant thought comes to mind. Even if you aren’t planning on becoming a famous writer or composer, you no doubt have flashes of brilliance during your everyday life, and a notebook will allow you to remember them. 7. ... AND A NOTEBOOK WILL NEVER RUN OUT OF BATTERIES. Digital planners and apps are convenient and useful—until your phone goes dead. Paper and pen don’t require any charging and are always ready to use. Even if you use your phone or computer for most writing tasks, it’s great to keep a notebook on hand for when your digital devices run out of juice. Even if your phone isn’t yet dead, using a notebook can help you save that battery life for something more important, like getting directions or playing games. A notebook may seem like a simple thing, but it can unlock a world of possibilities for you. Learn more about all the amazing things paper can do at howlifeunfolds.com/learn. Sources: ABC News, USC News, CNN, Science Direct, Forbes, ACSH, The Independent, WebMD, TheWeek.com, SimpleDollar.com, Mental Floss, The New York Times, The Atlantic, TheConversation.com, Scientific American, Psychology Today, URMC Rochester, PsychCentral.com, TheCut.com, TheArtofManliness.com.